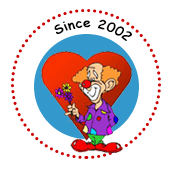 On February 18-25 Caring Clowns International is going to Peru! CCI members Banjo, Duffy, Alfredo, Pelukyta, and Sox will join Komedyplast. They will be blogging while on their adventure so tune in to our Peru Blog for updates.